Junk Fed will be at C2E2 2018 this weekend in Chicago, IL, where he will be setting up shop at the Galaxxor booth #754. 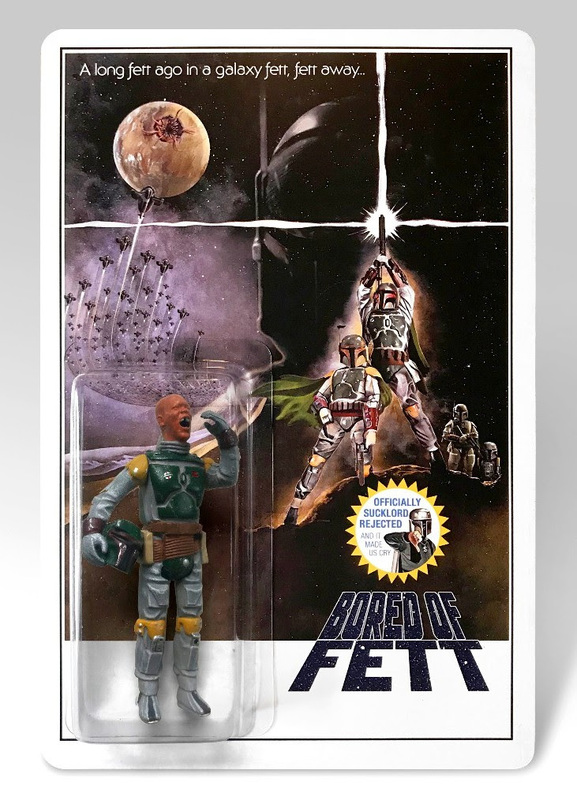 One of his many C2E2 exclusives to be released this weekend is this hilarious Star Wars bootleg resin figure “Bored of Fett”! Why is Junk Fed bored of Fett? Because nobody likes Boba Fett. This C2E2 2018 Exclusive Edition is limited to 20 pieces and features mind-blowingly detailed paint applications by Battle Babies and excessively refettative card art by Junk Fed (based on the artwork of Tom Jung).